For a new way to wear fragrance, look no further – hair perfumes are on the rise. This new brand boasts an impressive line up of hair products, the most luxurious of which is this nourishing spray that also perfumes the hair. Notes of coconut milk, vanilla and caramel evoke feelings of decadence, while the hearty dose of vitamin E helps to hydrate and protect hair. 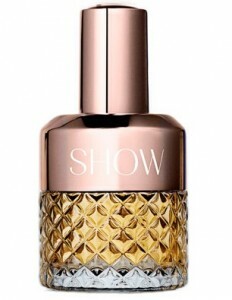 With its world famous scent and loyal following, chances are you’ll already know whether you like this hair mist or not. Intensely sweet, this scent blends notes of honey, cotton candy and caramel with a warm, chocolate base for a hit of indulgence. Parisian brand Balmain have the art of scenting your hair down. Infusing their formula with organic argan oil and strengthening silk proteins, this spray adds a beautiful sheen and a heavenly scent that lasts all day. The product has already been road tested in Balmain’s AW13 fashion show, and if it’s good enough for the models – it’s good enough for us. For those of you who enjoy layering up your fragrance through body oils and scents, Chanel have added a fragrant hair mist to every fragrance wardrobe including No5 and Coco Mademoiselle. 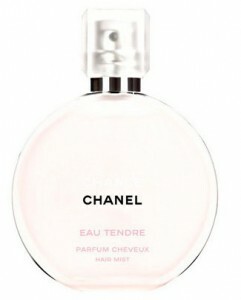 Chance Eau Tendre employs the delicate scents of jasmine and grapefruit for an undeniably feminine scent.